4x5 Kodachrome transparency by Mark Sherwood. October 1942. 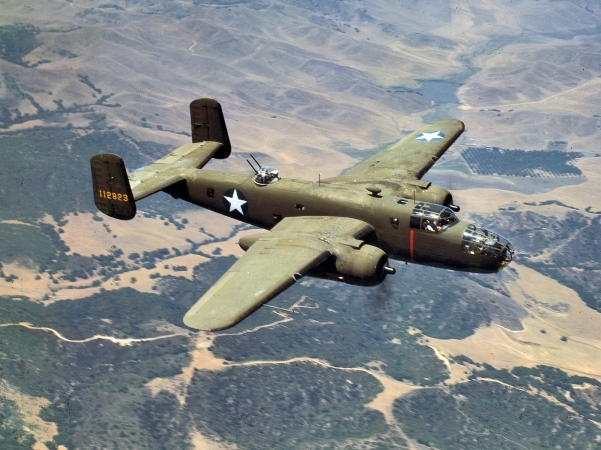 North American Aviation B-25 medium bomb over the mountains near Inglewood, California.